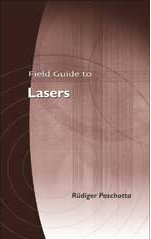 Ask RP Photonics for advice on solid-state lasers – e.g. for selecting the most suitable kind of laser for your application. Although most solid-state lasers consist of a number of discrete elements (e.g. of a laser crystal or glass, some laser mirrors, and possibly additional intracavity optical elements), there are some types of lasers which are monolithic. For monolithic lasers according to a strict definition, the whole laser resonator consists only of some piece of crystal or glass. The resonator is then closed either with dielectric mirror coatings on the surfaces, or with total internal reflection. A somewhat relaxed definition allows for reflections from additional optical elements, and even for additional components within the laser resonator, provided that these elements are rigidly attached (e.g. bonded) to the gain medium. Microchip lasers have a linear resonator, with the gain medium being a thin slice of crystal or glass material. Such lasers are available as compact single-frequency lasers, also in Q-switched form or with intracavity frequency doubling (→ green lasers). Nonplanar ring oscillators (NPROs) are monolithic lasers where the laser radiation circulates along a nonplanar ring in a single laser crystal (e.g. of Nd:YAG). In most cases, these are single-frequency lasers, and they can deliver up to a few watts of output power. Waveguide lasers are also often monolithic. Such a laser can be based on, e.g., a channel waveguide in lithium niobate (LiNbO3). The nonlinearity of this material allows for further functions, such as electro-optic modulation for Q switching, mode locking, or wavelength tuning. Most semiconductor lasers, e.g. laser diodes, are monolithic. A common property of monolithic lasers is that they have a very stable and compact setup. Furthermore, monolithic designs often allow for fairly low intracavity losses (possibly well below 1%), leading to a low threshold pump power and relatively small linewidth (even though carefully designed lasers with longer resonators can have a still narrower linewidth). 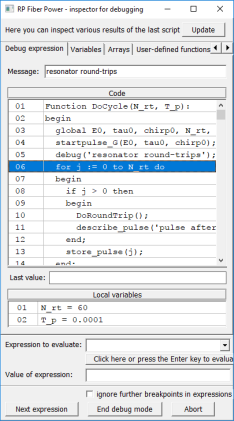 Another consequence of the typically short resonator is a high relaxation oscillation frequency. A frequent practical limitation is that a monolithic laser setup does not allow the insertion of additional intracavity optical components. Also, it is usually not possible to modify various design parameters without fabricating a whole new laser device.